Donington Park Racing has planning permission approved for 60 race days per annum for the next two years. It is the culmination of six month’s work by the Donington Park team who have been working with North West Leicestershire District Council (NWLDC) and local communities to ensure that the venue continues to operate. The planning permission incorporates some significant benefits for the local residents, decreasing the number of unsilenced race days from 40 to 20 and also the introduction of a Noise Management Plan. The Noise Management Plan was offered by Donington Park as a way ahead to ensure that the noise impact from the race circuit is minimised. Robert Fearnall, Race Director said: "We have been under constant pressure to release dates for the 2012 season and have been working closely with promoters and the racing authorities. This decision enables us to agree a full calendar for 2012." Kevin Wheatcroft, Donington Parks owner and Executive Chairman, added: "we knew that we were going to have a tough time during the first two years of re-opening Donington Park with the investment required to see racing again at Donington. Without this permission, keeping Donington Park alive was going to be increasingly difficult." Wheatcroft also announced that Christopher Tate has been appointed Managing Director and said: "Christopher and I share the same vision of a restored, revived Donington, well positioned to face the challenges we all face right across motorsport, on both two and four wheels. We are building a strong platform for the future. I’ve been really encouraged by the first full year we’ve had back in charge, and under Christopher’s leadership, look forward to further growth in 2012. 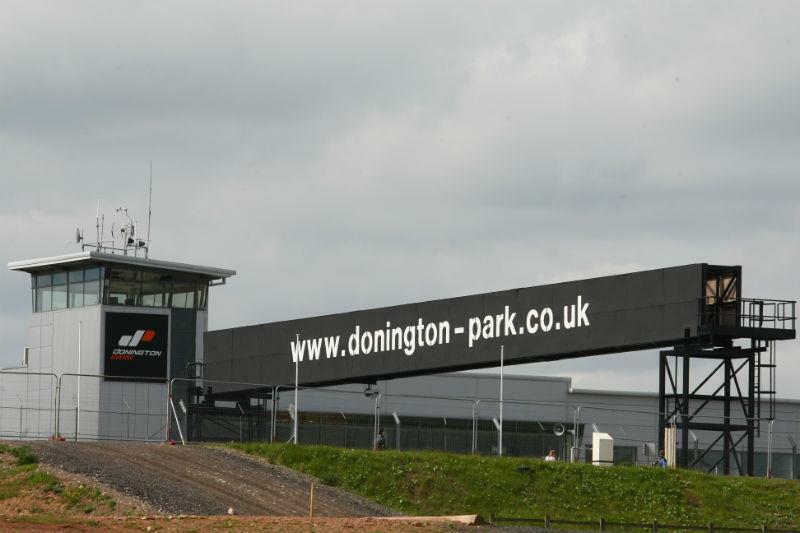 Donington is very much back in business!" Christopher Tate is a 30+ year motorsport industry veteran, with a career which includes senior positions at Lola Cars International, the Elan Panoz group, and as a co-founder and director in the start-up and construction of Rockingham Motor Speedway. From 2004 to 2010, Tate also led the rapid growth of the Masters Historic Racing group, which is now the market leader in historic motorsport across Europe. He has enjoyed a parallel TV career in motorsports television, commentating at Le Mans as well as acting an Indycar and US racing pundit on SkySports. WSB Donington Race Two: Sykes secures first ever double-podium at Donington. Get £10 off Donington Park WSB tickets!